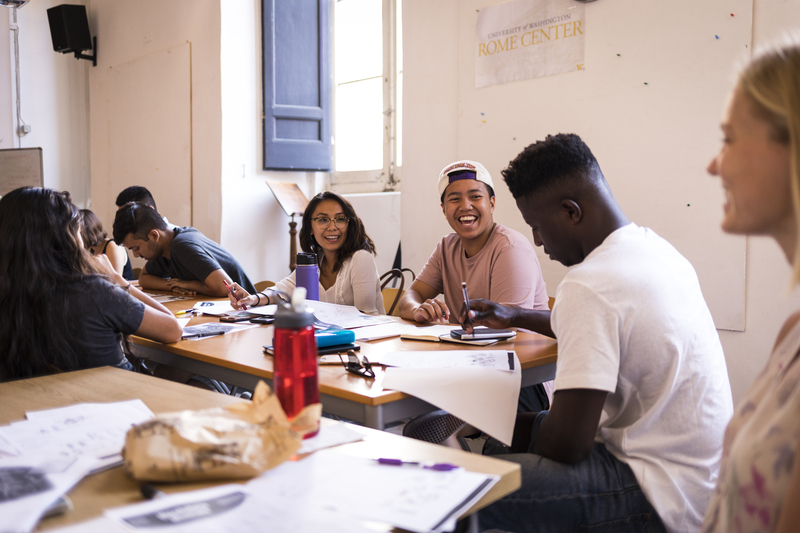 The UW Rome Center is located in the 15th century Palazzo Pio, a beautiful and historic building facing Piazza del Biscione and overlooking the vibrant Campo de’ Fiori in the heart of Rome, a central and ideal setting to study abroad. 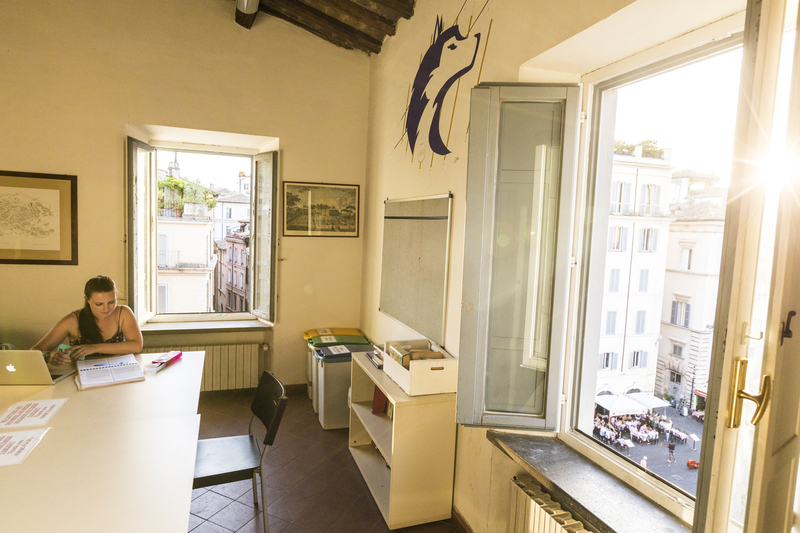 The UWRC is conveniently located near numerous sites including Piazza Navona, the Pantheon, Trevi Fountain, the Colosseum, the Vatican and Isola Tiberina. 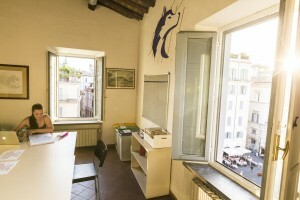 Student accommodations are close as well, with several apartments near Campo de’ Fiori and others just a short walk across the Tiber River to Trastevere. Our facility combines the charm of an historic Roman palazzo with the convenience and technology of a modern academic facility in over 14,000 square feet of classroom and studio space, a grand Conference Room, library, computer lab, faculty apartments and study space. Take a video tour of our facilities here! The Conference Room has a beautifully frescoed high beam ceiling. It includes a full-size screen, sound system, multi-region DVD player and digital video projector. With a seating capacity of about 100, this room is a lovely and functional setting for large group meetings, lectures and reviews/exhibits of student work. It is also a venue for special events and international academic conferences. 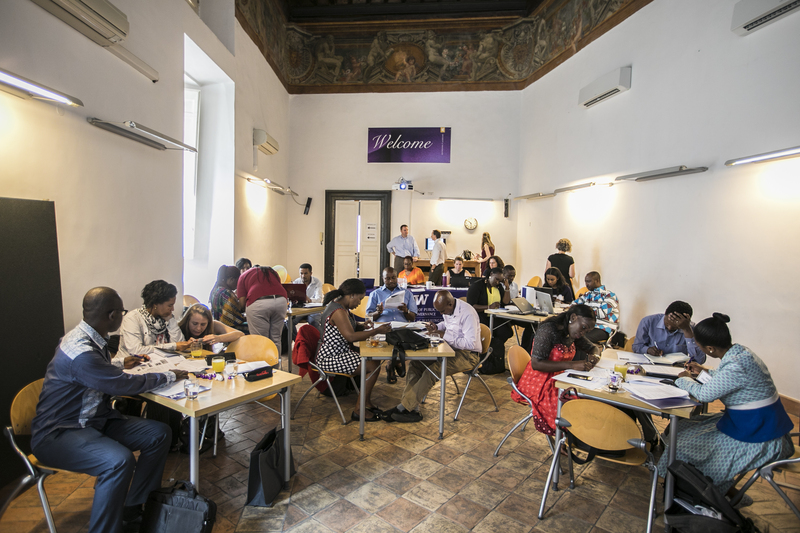 The UWRC has numerous large and small rooms which serve as classrooms, studios and meeting rooms accommodating up to 30 people per room. Rooms may be arranged with tables and chairs, tablet arm chairs, or seminar style around a large table. Laptops, projectors and white boards are available for use in all rooms. The Tower, enclosing a small room in the remains of the Palazzo’s medieval tower, is a quiet area for studying. The adjacent room serves as a Student Lounge and is also know as the “Prow” after its location on the site once occupied by the Temple of Venus, which protruded from the Theater of Pompey like the prow of a ship. This room is open to all students as an area to meet and study. 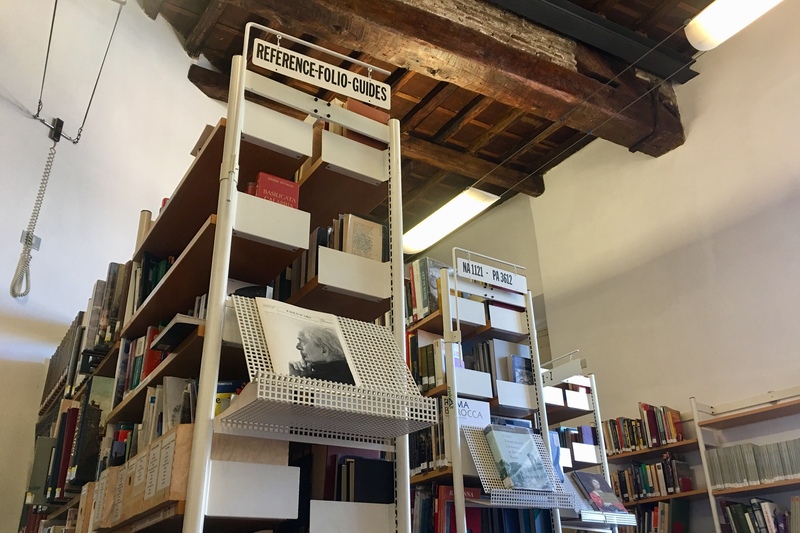 The UWRC Library is a large collection of over 4000 volumes, 250 English or subtitled films, and a wide selection of periodicals focusing primarily on architecture, art, art history, business, and the humanities and social sciences. Most of the collection is in English, focused on Italy-related and especially Roman subjects. The library provides an excellent environment for research, study, or for browsing our volumes, that are classified by the Dewey Decimal system. 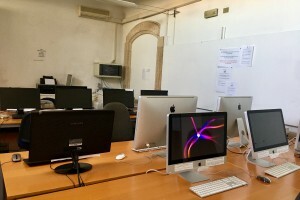 The student computer lab is equipped with 12 desktop workstations (both PCs and Macs) connected to high speed internet, color and black & white laser jet printers, scanners, and a photocopier. Students may also check out portable devices such as laptops, video cameras, and projectors for course-related projects. The UWRC has several beautiful apartments available for faculty use. 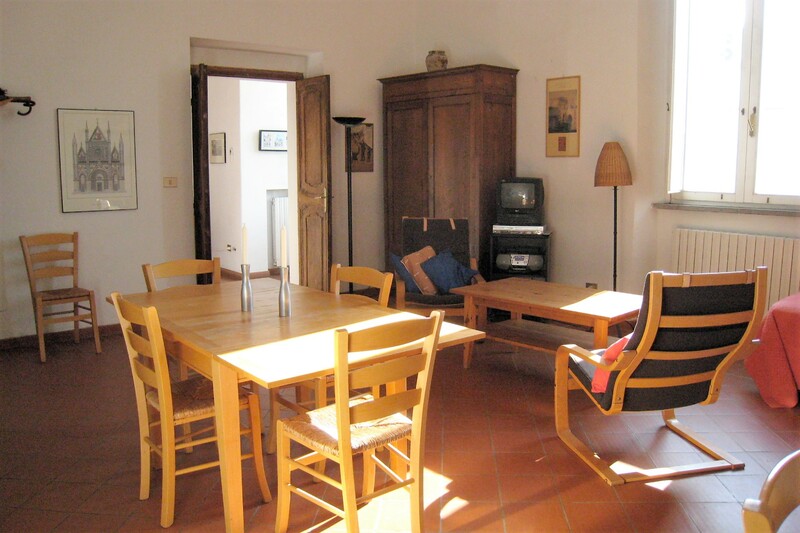 All are fully furnished with a kitchen, private bathroom and a terrace or balcony. The units are also available for use by associates of the UW for non-program use between academic terms.